I love reading books meant for all ages. Any book with stars by it is one I'd consider reading again in the future so presumably you might like it too. If you've read (or wondered about) any of these books feel free to comment! I'd love to chat with you... Oh and if you love a book I don't (or vice versa), we can still be friends. Corrie Ten Boom tells of her experience helping Jews escape death with the Dutch resistance in Holland. Corrie's honest introspection is profound. Despite all that she and her family went through, God's love was continually revealed. This is a story of amazing courage and perseverance that everyone should read. This book is a gift book style which is an easy read. The examples it gives are American, but regardless of where you're from the point of the book is that the things you do matter and make a difference in the world -- often in ways we could never imagine. 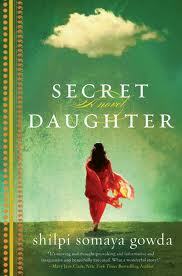 This novel was interesting -- a woman with a secret past, a widowed man, a crazy ex... I didn't care for the chapters that were written from the point of view of the crazy ex because I felt a little crazy myself after reading the repetitive thoughts he has, but an easy read other than that. A family of five with 'the perfect life' is shocked when hidden financial difficulties turn things upside down. A series of mishaps lead them to live with an Amish family where they learn their customs and do some soul searching themselves. I'm not sure how likely this would be in real life, but it was an interesting read. A story of Ivy, an orphaned girl adopted via the Orphan Train, and the friendship she forms with another orphan. Their lives are significantly affected by an impulsive choice. The themes include: guilt, loyalty and longing to be loved. This is an R rated book (mature theme and some swearing) about two young boys growing up in Afghanistan in the 1970's. The themes are: father/son relationships, friendship, guilt and redemption. My husband and I watched the movie recently. He really liked it, but I preferred the book because it had more detail. This novella tells how a young family's relationship with an elderly lady leads to their discovery of the true first gift of Christmas. A spiritual message within a magical tale. This novella is set in the 50's and tells the story of two young boys who become friends while sharing a paper route. One of the boys has a little sister who is terminally ill and the boys work to make her Christmas wish come true. Woah -- can I NOT recommend this book strongly enough? I have to admit the first four chapters were compelling in terms of story telling, but once the book started to get into theology I started to cringe. I stopped reading mid chapter 6 and found this review of The Shack at Insight for Living which highlights all the concerns I have myself. The book, in my opinion, isn't Scripturally sound. This gift book consists of 6 short Christmas stories. You can read my review here: The Nativity Collection. This novel addresses themes such as inter-racial marriages, cultural differences, adoption and poverty while it follows two families. The book is set partly in the United States and partly in Mumbai, India. A coming of age story about a girl growing up in the 50's. Written by the author of Fried Green Tomatoes. I liked the first half of the book better than the second half. This novel deals with issues of segregation during the 1960's. This book had more swearing in it than I expected and an R rated scene, but aside from that I liked it. Soon to be released as a movie. I found out that the book was racially controversial after reading it -- specifically the "white" author speaking as though she were "black" women. A story of an orphaned boy in 1377 who is forced to flee for his life and for his freedom. A novella about farm animals who start a revolution against their owner and other humans. This book symbolizes the Stalin era and his dictatorship. A mystery novel based on the tv show "Psych". I have to say I much prefer the tv show. The wit and banter just isn't the same without the facial expressions. The true story of a horse diver in the 1920's who is blinded. The life of Sonora inspired the movie: Wild Hearts Can't Be Broken which I highly recommend for the family. 1930's coming of age story about racism and justice. I originally read (and watched) this in grade 10. My husband and I just watched the movie recently and highly recommend it. Depression era novels of a young girl growing up in a large family in Canada. Booky deals with crushes and a desire to write while coping with the family's financial troubles. (aimed at pre-teens). There are a few movies staring Megan Follows (from Anne of Green Gables) as the mom. Set in 1918, this novel tells the story of an orphan girl who inherits a ranch and becomes a homesteader. Thankful for a chance to finally have a place of her own, Hattie takes on the daunting task. The author was inspired by her own Great Grandma's story. This is a supposed diary of an anonymous drug addict, but it seems that it was written by this "editor"/author of other supposed diaries which have come to light as fiction. I don't recommend it. This is a sci-fi novel about increasing IQ in a mentally handicapped man. It's interesting to see how his life changes as his intelligence increases. A Will Smith movie-to-be. A novel about long distance love with an army sergeant and also father/son relationships. The novel is better than the movie. You should watch the alternate ending (the novel inspired ending) of the movie if you have the opportunity. A novel about daughter/father relationships and young love between an unlikely pair. The novel is better than the movie as the movie has some loopholes in the plot.